Making his debut on Team USA, 23-year-old Andrew Anderson averaged 245.50 for six games to take a commanding lead in the first squad of the Singles preliminaries at World Men Championships in Hong Kong. 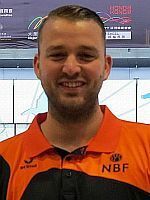 The four-time Professional Bowlers Association champion, who learned on his way to Hong Kong that he has been selected as the 2018 Chris Schenkel PBA Player of the Year, followed an opening game of 200 with 279 and 278. 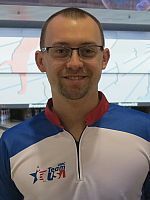 Anderson then struck on his next 12 shots for the first 300 game of this Championships and 857 for games 2 to 4, a 285.67 average, and a 1057 four-game series (264.25). 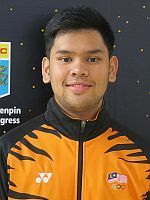 Leading his nearest competitor, Rafiq Ismail of Malaysia by 156 pins, Anderson closed with 201 and 215 to lead the 68-player squad with 1473 total. 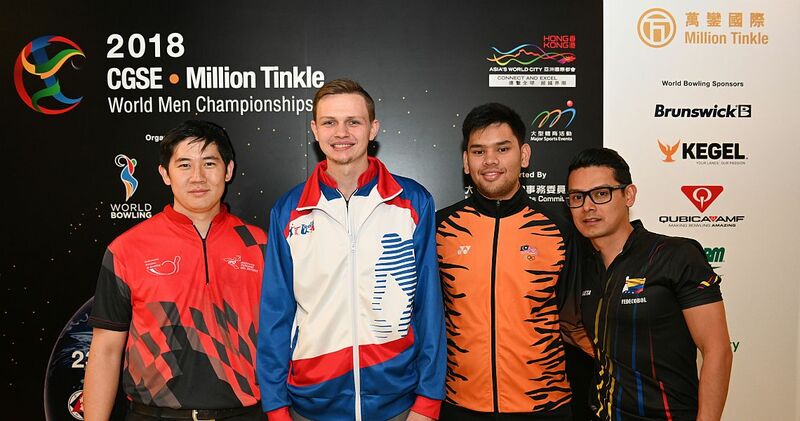 Ismail (right), a 21-year-old left-hander who won the gold medal in Masters at the 18th Asian Games Jakarta Palembang 2018, started his set with three solid games (211, 212 and 214), before he closed with the highest three-game block of 724 (264, 213 and 247) to narrow the gap to Anderson to 112 pins in second place with 1361 (226.83). Edward Rey (left) of Colombia was the only other player who surpassed the 1300-mark in third place with 1308 (218.00). The 30-year-old right-hander had five games between 213 and 236 and a low game of 175. 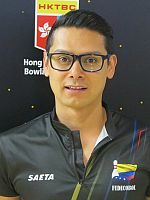 After a slow start with games of 166 and 181, Ricardo Tateishi (right) of Peru rebounded with 238, 211, 236 and his high game of 266 to jump into fourth place with 1298 (216.33). 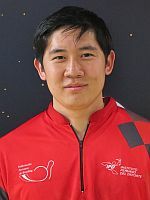 All other players are already out of the race for the singles medals. 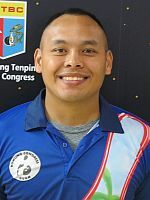 Tateishi’s huge closing game came at the expense of Ray San Nicolas (left) of Guam, who was the first player out in fifth place with 1287. Ismail’s team mate Timmy Tan (right) dropped out of the top 4 to sixth place with 1280, due in part to a 179 last game. Anderson’s fellow PBA Player of the Year (2016), E.J. 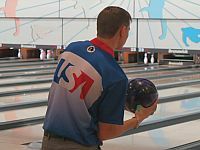 Tackett (left), who is also making his debut on Team USA, was ninth with 1261. 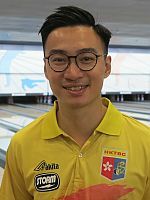 Eric Tseng (right) who was on the team that won the Trios gold medal at the 2017 World Championships for men and women, was the top local bowler in 23rd place with 1158. 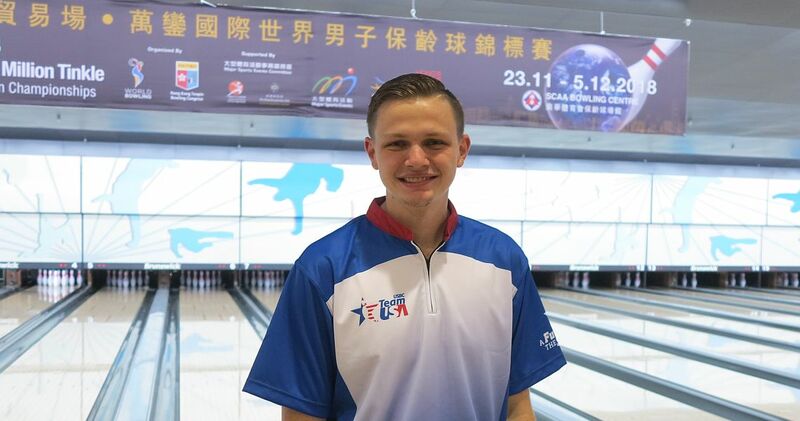 Defending champion Xander van Mazijk (left) from Netherlands, who won the title in Singles at the combined World Championships in Legas Vegas almost exactly one year ago (Nov. 27), toppled 1149 pins, good for 28th place in this squad. 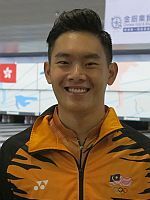 The bowlers of squad 2 will complete their six-game series later this afternoon, while squads 3 and 4 will conclude the singles preliminaries Monday starting at 9 a.m. and 1.45 p.m. Hong Kong time.